Looking for a professional resume writer? Connect with a professional resume writer at My CV Consultant in Sydney. We write professional resumes, cover letters, selection criteria and LinkedIn profiles that get results. Lena is a Professional Resume Writer & the Founder of My CV Consultant. Lena offers over 10 years of professional resume writing, recruitment and HR experience. Jacqueline is an experienced writer that has exceptional people skills and an expert at hitting the mark for her clients through compelling content creation. Captivating content that highlights your strengths and experience. Innovative designs that help you stand out from the competition. Easy to edit, future-proof documents. Experts at analysing roles and crafting targeted cover letters. Powerful value proposition when addressing selection criteria. Reach 'All-Star' LinkedIn profile status and get noticed by recruiters. Network, get head-hunted and search for jobs that matter to you most. Connect with agency and in-house recruiters. We're committed to professional standards but don't take our word for it! Read client testimonials and discover how we've helped hundreds of clients land their dream job. "Jacqueline was so fantastic to work! She provided nothing but professional and quality service, and I am extremely happy with the result of My CV. With the resume she created I was able to land an amazing job, and I couldn't have done it without her!" "I highly recommend My CV Consultant. I received greater success with getting interviews with my new My CV resume. I had a really good consultant, very prompt, good communication and timely." 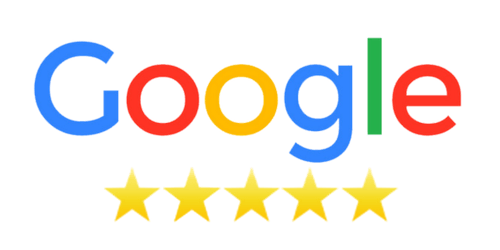 "Lena and the My CV staff do a fantastic job and I would highly recommend to anyone with diverse skill set and looking for a great CV." Discover more about My CV Consultant and how our professional resume writers can help you make your mark. Who is My CV Consultant? We are based in Sydney, Australia, however; we provide services Australia-wide. We offer resume, cover letter, selection criteria and LinkedIn profile writing services. Your resume is THE key document that breaks the ice. A professional resume is essential if you want the best chance of being shortlisted. Our professional resume writers act as a filter, highlighting what matters most. This means you won't be sitting in front of a blank screen for hours wondering where to start. Which industries do you specialise in? We assist clients across all industries except some niche areas in the medical and legal sector. Connect with us to find out if we service your industry. Are you ready to get started? Connect with one of our professional resume writers to get a quote or request a callback. © My CV Consultant 2014-2018. All Rights Reserved.